Gloriana The Queen’s Rowbarge was built to celebrate The Queen’s Diamond Jubilee and to be one of its physical and practical legacies. At the heart of this legacy is her charitable status and charitable role. 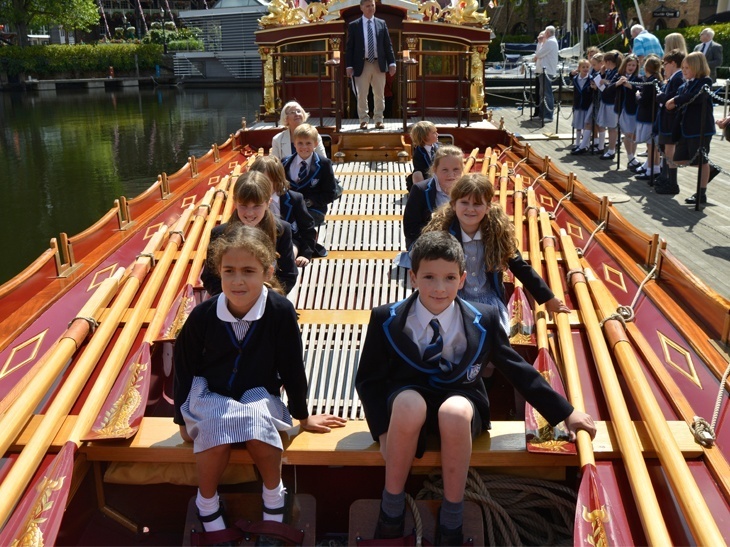 Gloriana focuses on providing opportunities for Royal-supported and other charities to play their part in occasions and celebrations upon the Thames, with a particular emphasis on events involving young people and the sport of rowing. In support of charity. 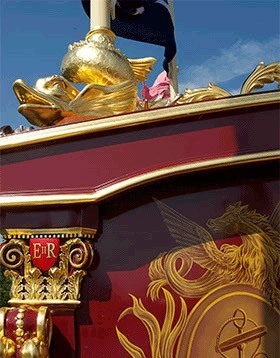 Created in the first instance for Royal and State occasions the Queen’s Rowbarge is to hand for other members of the Royal Family in support of their diverse and extensive charitable activities, for instance, charitable fundraising events. To inspire, reward and educate young people through rowing, especially those with social disadvantage or disabilities. 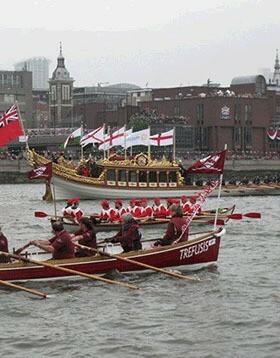 Gloriana will help introduce young people to the experience of rowing. 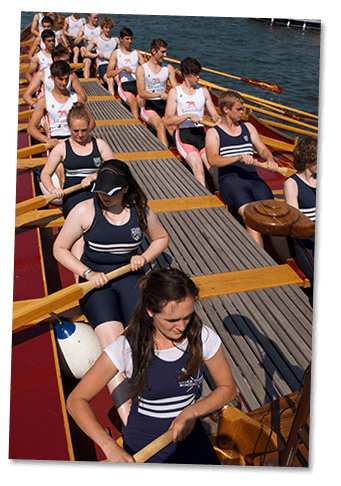 To promote the River Thames and rowing generally by appearing at the main locations and annual events up and down the river, such as Greenwich, central London, Richmond, Henley, Oxford and Windsor; and at events like The Tudor Pull, Henley Royal Regatta and Great River Race. These appearances will in turn see Gloriana supporting and promoting different charities each year. To promote London. 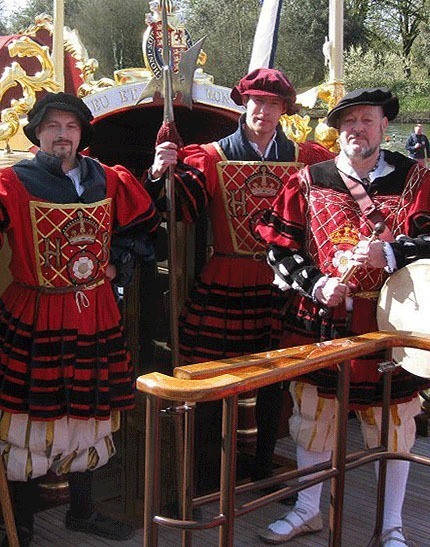 Gloriana is a tangible link between Britain’s status as a seafaring nation and maritime London. The River Thames played a defining role in world trade which remains the essence of a city which is still the hub for the world’s leading maritime organisations. To undertake duties for the British Government during state visits, which may also have a major commercial dimension. To be on view to the general public. Advice for boaters on the River Thames from Oxford to Teddington Lock is available here. Current flow rate and water temperature at Kingston Upon Thames can be found here.